David has a golden rule when it comes to holiday accommodation. Find the best place in town and stay there - who can argue with that - and so we found ourselves at Mantra Geraldton on the Coral Coast of Western Australia. This was meant to be a quick stop over on our way further north but Geraldton turned out to be a hidden gem. Four and a half hours from Perth by road, it is the last large town for more than a thousand kilometres. It has a 'leaving civilisation' kind of feel to it. You want to stay somewhere nice because it might be a while before you get the luxury of good accommodation again. We stayed in a Harbour View Superior 2 Bedroom Apartment. 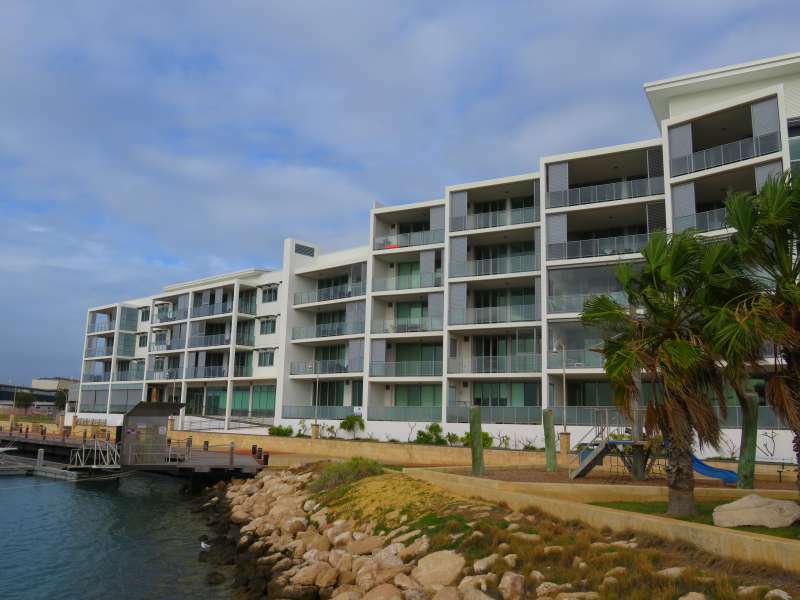 Mantra Geraldton is right on the harbour. As the name suggests our apartment was at the front, with a 180 degree view looking out across the harbour to the vast expanse of the Indian Ocean. 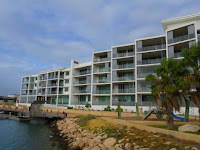 We stayed at Mantra Geraldton twice, once on our way north and again on our way back to Perth. The first time the ocean was calm but coming south we were struck by a storm. Ferocious waves crashed onto the breakwater directly in front of us providing a dramatic glimpse of the prevailing southerly winds for which the town is famous. There is nothing in the world quite like feeling safe and warm inside while watching a storm rage outside. The girls at reception were efficient and pleasant - even when we accidentally set off the fire-alarm. Fortunately we already had the overhead fan going and once we opened the balcony doors it shut off very quickly. Our apartment had two bedrooms, a separate living/dining room and a large balcony. The king size bed in the main bedroom was made up with crisp, good quality sheets while the lounge/dining room was comfortably furnished and had a good sized dining table - everything we needed for a home away from home. The apartment was serviced each day. a flat screen T.V. complete with Foxtel and blue-ray DVD player. I know the prospect of cooking while on holiday is not everyone's idea of fun but I am not always in the mood to go out. If I am going to cook though, I want an oven. Kitchenettes with nothing more than a microwave and a couple of hot plates just don't cut it. There is nothing simpler than sticking a couple of chicken kievs and a few veggies in the oven and sitting back with a glass of wine waiting for dinner. The only thing needed to improve the kitchen was better pots and pans. A newer, cleaner frying pan would have been nice. If you do intend to cook make sure you stock up on supplies early. Geraldton closes down after 6 pm. If you get caught out, Rigters Supa IGA on Durlacher St is open until 8 pm. As to the laundry, I love the convenience of having my own washing machine/dryer to deal with all that sweaty active wear at the end of a long day on the tourist trail. 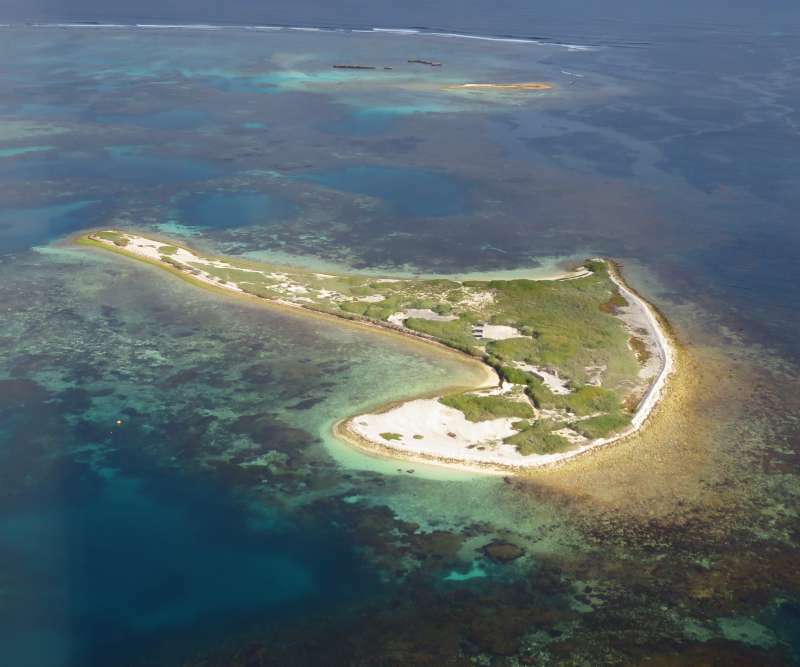 The Abrolhos Islands - Half an hour's light plane flight off the coast of Geraldton are the Abrolhos Islands. Have you heard of the wreck of the Batavia? The Batavia was a Dutch East India Company merchant ship which struck Morning Reef off the Abrolhos in 1629. 250 of her passengers and crew escaped the sinking vessel only to find themselves without food and water on what was little more than a coral atoll. Over the course of the next few months 125 men, women and children were murdered by the most senior Dutch East India Company employee on the island and a group of his followers. Read the tragic story of the Batavia in my post on The Abrolhos Islands and the bloody story of the wreck of the Batavia. The Abrolhos Islands are fringed by the southernmost coral reefs in the world and are a snorkelling and diving paradise. We spent a day on East Wallabi Island exploring the island and its underwater gardens and searching out the local tammar wallabies. Beacon Island (Batavia's Graveyard) from the air. Museum of Geraldton - This is a great place to learn a bit more about the Batavia and other Western Australian shipwrecks. Greenough - Greenough Historic Settlement is a cluster of preserved 19th Century buildings in what was once a thriving community. A National Trust of Western Australia site, it is just twenty minutes south of Geraldton and open to visitors year round. Don't miss the Leaning Trees of Greenough. Two kilometres from the historic settlement, along the Brand Highway, there is a great example of one with a place to pull over and take photos. One of the famous, and very photogenic. 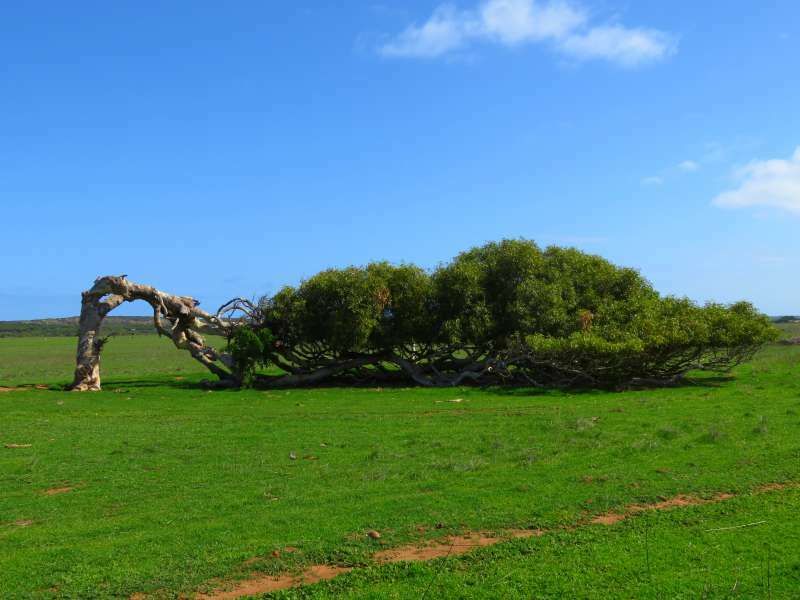 leaning trees near Geraldton. The HMAS Sydney II Memorial - Set high on a hill overlooking Geraldton the beautiful domed memorial commemorates the loss of the Sydney and her crew of 645 sailors during World War II. 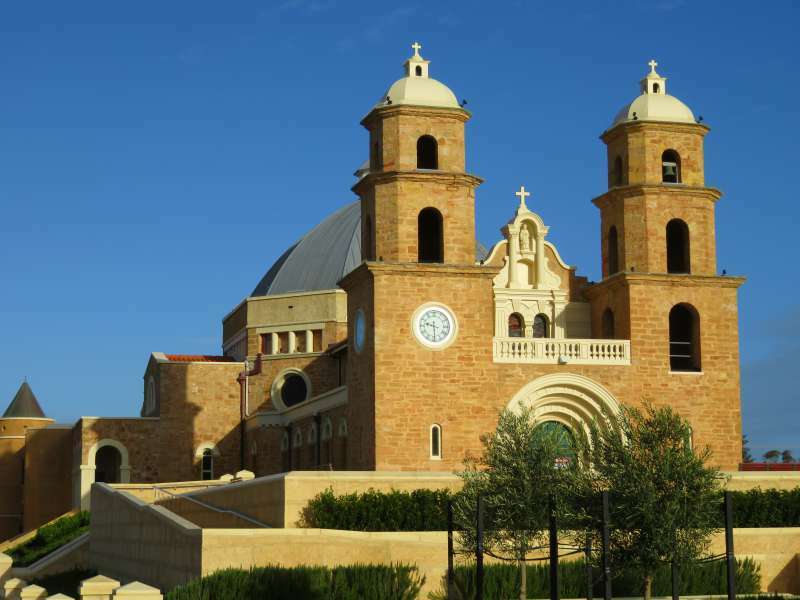 St Francis Xavier Cathedral - Designed by Monsignor Hawes an architect turned Catholic priest, this Byzantine style church is the most impressive of Geraldton's many beautiful historic buildings. Point Moore Lighthouse - The lighthouse is not open to the public but its dramatic red and white stripes make a great photo. 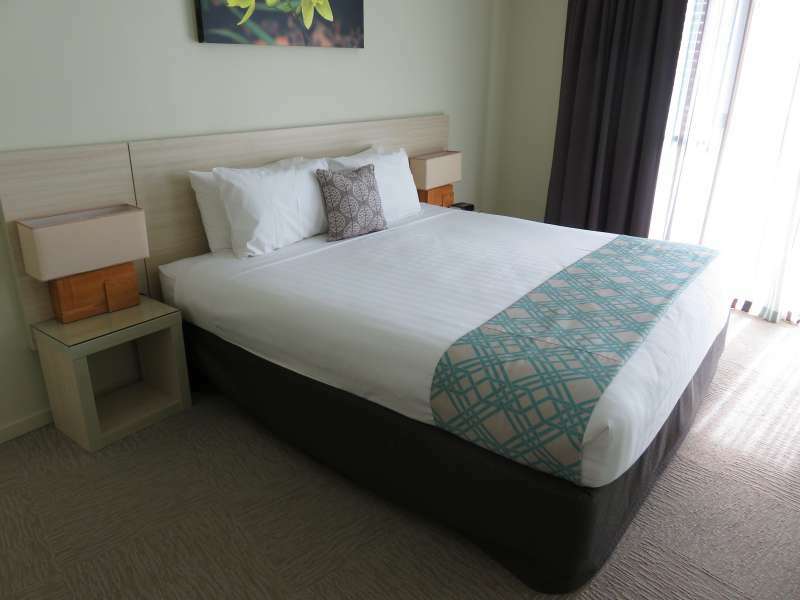 Would I recommend Mantra Geraldton? Absolutely! Next time we will stay longer. 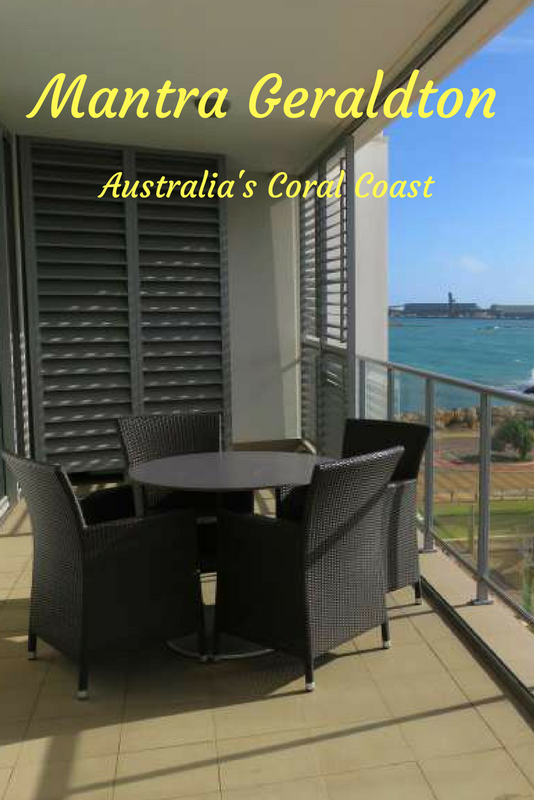 Book an apartment facing the harbour. The ocean view is worth it. Give yourself plenty of time to explore Geraldton. We had two and a half days and it wasn't nearly enough. We are already planning a return trip. 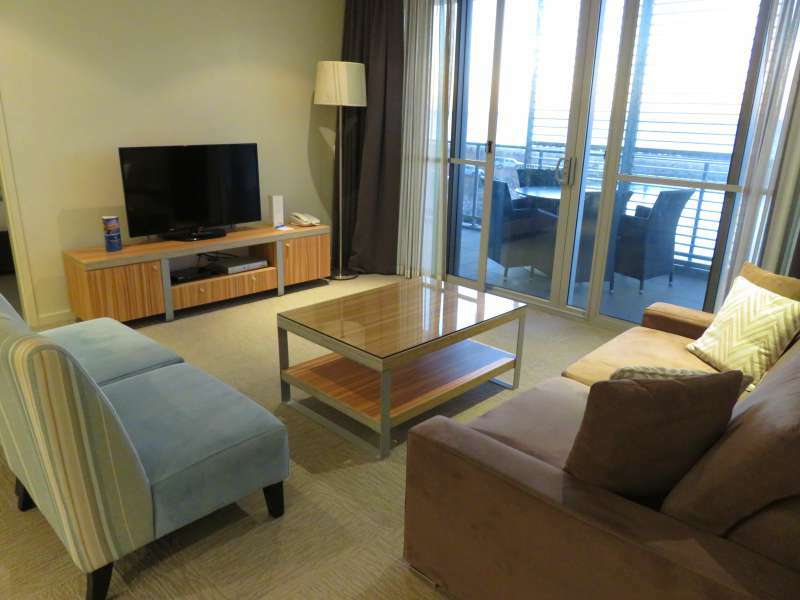 Note: David and I received a media discount during our stay at Mantra Geraldton. Great place, and you stayed right at the lagoon. Excellent!! I never even heard of the coral coast, tell us more! A pretty large lagoon - it was the Indian Ocean! There were lots of bent over trees. Imagine how windy a place has to be for the trees to grow like that. We weren't expecting a lot of Geraldton. It was more just a jumping off point for the Abrolhos Islands. It was such a great surprise to find how interesting it was. When I was in Geraldton, my lodging was on a ship. I was only there for a day. I could have used more time there as things closed early and I didn't get to the museum until after it closed. The waterfront area looks like a nice place to stay. It is a shame you missed the museum. I am not really much of a museum person but I found Geraldton's museum really interesting. I can highly recommend Mantra Geraldton and try not to miss going out to the Abrolhos Islands, especially if you like snorkelling. Outback Western Australia still has a long way to go in terms of decent accommodation but luckily Mantra Geraldton was an exception to the usual dismal fare of country motels on offer. That apartment looks great and I agree Lyn I don't always want to go out after a day of exploring. There is also so much good seafood and produce in WA that it's a pleasure to be able to whip up a mini feast at home. Especially when you have such a lovely balcony! We explored the SW WA coast this year but plan to head west again to do the northern part next year. I can recommend a road trip along the Coral Coast from Perth to Exmouth and back. We really enjoyed it. I didn't know about the leaning trees - that's crazy! WOW! They were quite amazing to see. Haha - sometimes I wish we could get off the beaten path and rough it just a bit but really, I appreciate all the luxury. A dishwasher and full size fridge/freezer, that's perfect in my mind for a serlf-catering holiday. Nothing worse than having to do dishes when on holiday. I haven't been to Geraldton in years, we must head up for a family getaway. I will admit that I wasn't expecting a lot from Geraldton but I was blown away by how interesting it was. The heritage buildings are stunning and I dream about returning to The Abrolhos Islands. It sounds like a really nice place. I would love to go to WA one day and then I'll definitely spend some time in Geraldton (that I'd never heard about before - but you've really convinced me)! Western Australia is a stunning state. We have been there three times in the last year and loved it every single visit. It looks very posh! I love staying in apartments when we travel - the washer/dryer and kitchen are worth paying a little extra. Plus if you have more than one room, and have an early riser, they can enjoy their morning coffee while the others sleep in. I've never seen a tree bent down that much! I just wish that serviced apartments had been available when we used to travel with the kids. While it was fun being squashed into one hotel room it was also trying at times. I agree with you about the early riser thing. I am an early riser and usually spend at least an hour, often more, fiddling around with my blog before David gets out of bed. Nice apartment! We love finding those "hidden gem" sort of towns. Just reading your reply to Jill, while I'm doing the same thing: Rising early and reading/writing/fiddling while the better half sleeps in. I like the Coral Coast road trip idea! More for us to read up on. Thanks for sharing on #TheWeeklyPostcard and #WeekendWanderlust! Blogging in the mornings while David sleeps in is one of the simple pleasure of life. An apartment overlooking the lagoon sounds fabulous! I agree, sometimes you need to find the best place and stay there especially before heading out into the wilderness or upon returning from the boonies. Thanks for linking up this week, #wkendtravelinspiration! It wasn't a lagoon. It was the Indian Ocean. You are the second person to make that mistake. I must go back and have another look at the photos. Perhaps it looks a bit like a lagoon. Amen to that Lynn. For long or short term stays, go with the best location. Especially when we do shorter trips, we pay up to play up, finding a convenient spot to maximize our time spent wherever we are on holiday. Why spend precious time traveling back and forth between the hotel or apartment and travel hot spots? Haha - I love your phrase 'pay up to play up'. To be honest though Geraldton is hours drive from the nearest town so wherever you stay it has to be in the town somewhere. A four and a half hours drive for Australians isn't far, I guess. Here we would drive from France through Switzerland to Austria ;) I'd love to drive down the coast of Western Australia and a stop at Mantra Geraldton would be a good plan for a break and discovering the town! The coast of Western Australia is a great place to get an appreciation of how vast Australia is while still staying relatively close to civilisation. Looks like a wonderful place to visit between Perth + Exmouth, provided you are driving. We flew that distance earlier this year to maximize our time diving in Exmouth and Ningaloo. David and I love road trips. Given the choice I will always drive somewhere rather than fly, but not everyone has the same amount of free time which we enjoy. That apartment looks beautiful. I'm with you on the full kitchen vs kitchenette thing, but if you're only in one place for a few nights, I wonder if it's worth it to cook since I assume there will be some food that you won't be able to use up. I had this problem in hostels and ended up just cooking oatmeal every day =/ only for breakfast though! I find the kitchen useful even if all you do is cook breakfast. Eggs and toast are so easy. David and I also like to make our own sandwiches for lunch. When we are out cycling we love the freedom of being able to stop for lunch in the pretty spots rather than constantly being on the look out for a decent cafe. As to dinner, you are right about the food wastage thing but we've had lots of practice finding dishes which are easy to cook and don't need many ingredients. 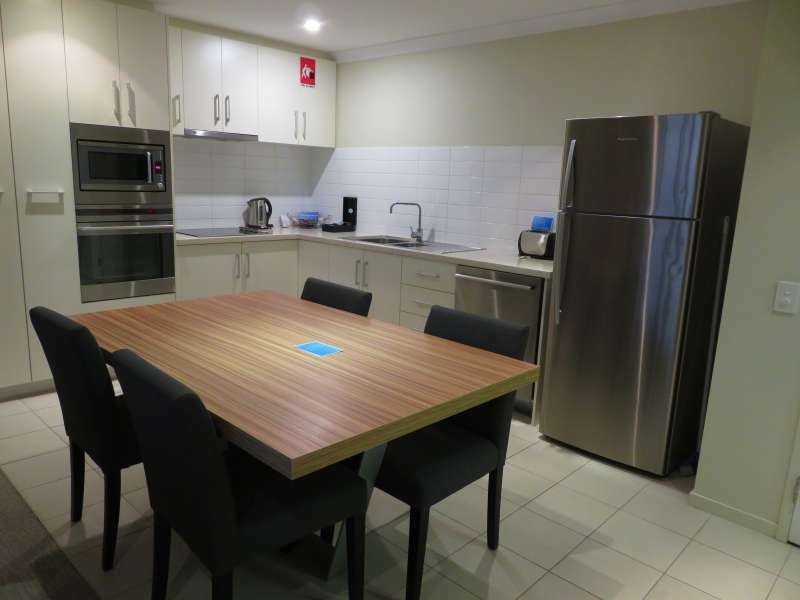 I always prefer self-catering when I travel - so much more relaxing to have your own space and cooking facilities. 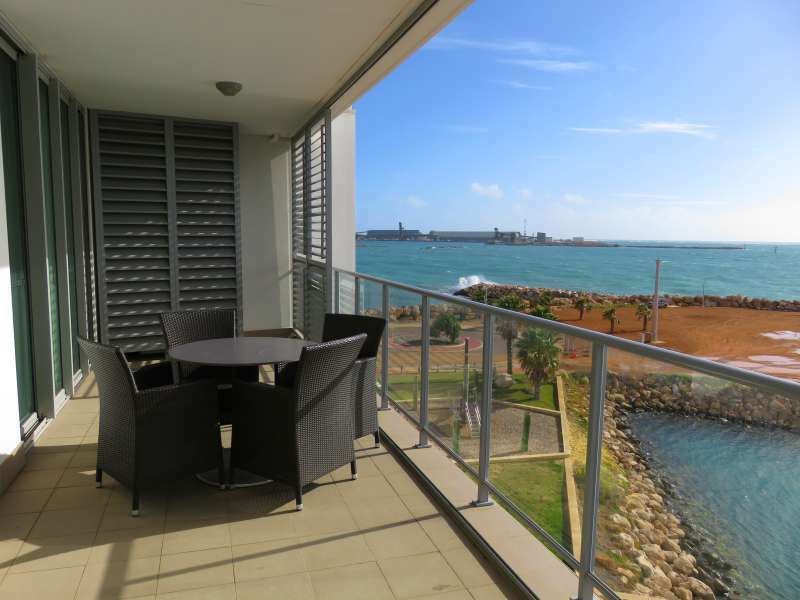 And if you get an ocean view that's a bonus - the Mantra Geraldton sounds lovely! And - the best thing is that you don't have to cook if you don't want to. I have quite a few posts yet to write on our Coral Coast road trip so if you are planning a trip to that part of W.A stay tuned. Before we started planning this trip I probably knew no more than you about Geraldton. I expected it just to be a stopover on our way north. It is always great when a place pleasantly surprises. Wow Mantra is looking a great place to visit. I would like to stay with paid host family. 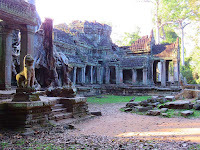 I think they will be more free to show the local place which are unknown but spectacular. Thanks for sharing your view.